Frosty the Showman: on new musicals and the business of showbusiness | Daily Review: Film, stage and music reviews, interviews and more. Theatrical producer John Frost is sitting in the Sydney Opera House’s Joan Sutherland Theatre, overseeing an extensive photo shoot for his new production of My Fair Lady. It’s a pretty straight-forward shoot of key moments from each scene of the production, and not the type of thing you’d expect an impresario like Frost to sit in on. But getting Julie Andrews to direct a recreation of the original Broadway production is a massive passion project for the man known in the industry as “Frosty the Showman”, and he wants to be there every step of the way. “This has been — alongside The King and I, for which I won the Tony, and Secret Garden — one of the major, sort of, tentpoles of my career,” he says. As Australian theatre doyenne Robyn Nevin appears on stage in full costume as Mrs Higgins, Frost stops talking for a moment and just looks at the full Ascot tableau with Nevin at its centre. Frost is arguably the most prominent Australian producer of musical theatre of the last few decades, and his company, the Gordon Frost Organisation (founded in 1983 with his late business partner Ashley Gordon) has never been busier. When his new Bobby Darin musical Dream Lover starts performances in Sydney next week, Frost will have four multi-million dollar musicals simultaneously playing around the country, including The Sound of Music in Perth, and We Will Rock You in Melbourne. It’s a business where the outlay on any new project is huge — anywhere from a lazy few million, through to more than $12 million for each show, with running costs each week in the hundreds of thousands of dollars — and the risks are massive. As strong as Frost’s strike rate is, even he has had his share of flops. But as well as being a money man, Frost has been a diehard musical theatre lover, ever since he started in the business as a dresser as a 16 year old for J.C. Williamson’s production of Mame. So just how hands-on is he today? Well, it depends on the show. Some productions, like his revivals of Grease, Dirty Dancing or Rocky Horror require a less personal touch, but according to Frost they make money he can then invest in slightly riskier fare or major new musicals. It’s now been four years since Frost has produced a new musical, after 2011’s Doctor Zhivago, which made back all of the investment, and 2012’s An Officer and a Gentleman, which was slaughtered by most critics and closed after six weeks, losing $7 million. But he’s cautiously optimistic about Dream Lover, which has been in development since before the script landed on his desk six years ago. It’s another passion project for Frost. He says Bobby Darin’s story is absolutely extraordinary and, despite some initial misgivings that audiences might have forgotten about Darin’s legacy, he decided to invest $150,000 in a development workshop. That workshop received a great response from the invited guests, so Frost decided to see it through to production. He says it will open its Sydney season with advance ticket sales of about $5 million, which is well above what both An Officer and a Gentleman and Doctor Zhivago had when they opened. 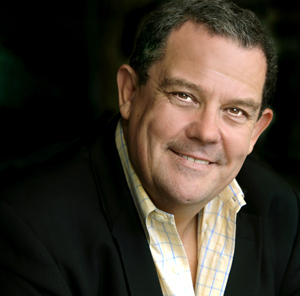 All of the investment for the show comes from Frost himself and Australian co-producers John and Barbara Gilbert, who invested in the original Australian production of Dusty, back in 2006. Most of Frost’s productions have international investors, but he says they’re generally not interested in a new Australian musical, even if, like Dream Lover, it has an American subject. Just a few days ago, he sat in on a full rehearsal room run of the show, and believes both the book and production are in good shape. His hope is that it manages to balance the dark elements of the story with the exuberance of Darin’s musical performances, in a fashion not dissimilar to Jersey Boys. Dream Lover rehearsals. Photo by Brian Geach. According to Frost, it’s impossible to tell how a show might work with an audience until it actually has one. Not that there aren’t warning signs. “You can see the problems from day one if something won’t work. Everything becomes a chore and it becomes hard. When it becomes relatively easy, and you have a good group of people working on a project, and it’s a joy, inevitably it will turn out well. Frost comes under frequent criticism (including from this writer) for his controversial “stunt” casting, which has seen him cast everybody from reality TV stars in musicals, through to conservative shock-jock Alan Jones as FDR in his most recent revival of Annie. The casting of musical theatre/cabaret star turned TV presenter David Campbell as Bobby Darin isn’t what you could call stunt casting — he’s a legitimate and experienced star of the stage — but there are obvious commercial benefits of having somebody so recognisable in the role. And Campbell’s life has some extraordinary parallels with Darin’s — both men were bought up by women they believed to be their mothers, only to discover later in life that they were actually their grandmothers. How important is Campbell’s star factor to the success of a brand new piece of theatre? 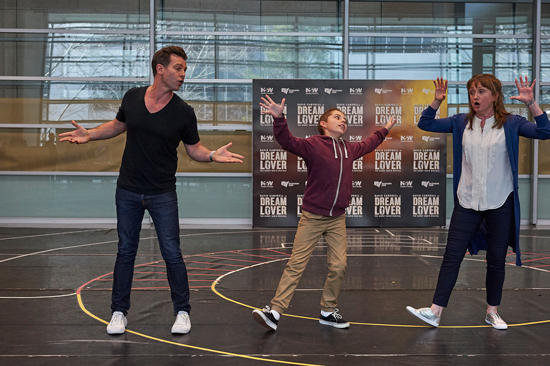 Dream Lover has a limited Sydney run, but there’s already some international interest coming in from the UK and the US, now that the show is on its way. But it’s not just a busy time for Frost, it’s a busy time for the Australian musical theatre industry as a whole, with both the rise of relatively new large-scale commercial producers like Michael Cassel and Global Creatures, and independent musical theatre. When asked if it’s a good time for musical theatre in Australia, Frost answers with an emphatic “yes”. He’s been excited to see smaller-scale independent musical theatre growing quickly in both Sydney and Melbourne. “They’re doing stuff I would probably love to do, but I’m either not game enough to do it, or financially wouldn’t be able to fill a ten or 12 week season. There’s all this work being done, plus new stuff. It’s really good, it’s healthy. After Dream Lover is up and running, Frost’s attention will turn to the Australian premiere of The Book of Mormon, the international hit written by the team behind the TV show South Park. Ticket sales are already very strong. Frosty has plenty of other shows in the pipeline, including a musical version of the hit Australian film Red Dog, but there are two classic musicals he says are on his bucket list. “I’d love to do a brand new Camelot and a big, serious production of Mame. But Mame is about finding the right leading lady for it. But audiences shouldn’t necessarily expect to see either of those productions any time soon. hi– just wanted to say the only “thought” police there is/ are psychiatrists- people aren’t thought “police”- they cant lock you up, or arrest you for your thoughts- “only psychiatry” can do that- people, debate, question, challenge, words with words- but they cant arrest you for it- so “aren’t police”- just wanted to set the record straight. Well written piece about a man who truly lives for the industry and it might not be general knowledge but he is also extremely generous in many ways.